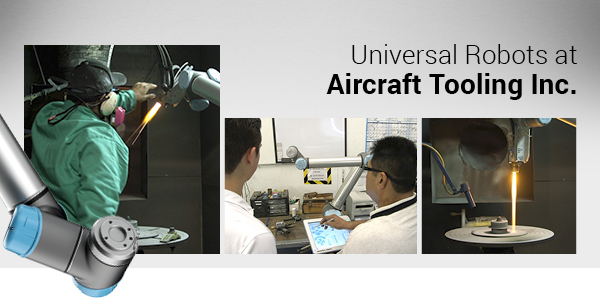 Universal Robots in Canada - Come meet us! 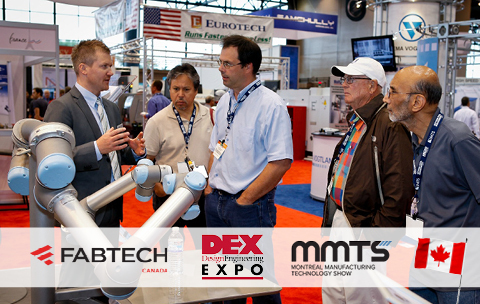 We're ramping up Canadian activities coast-to-coast this spring, come meet your local UR robot distributor at the following events and view our complete calendar here. Is there a manual process in your production set-up that you believe could benefit from being automated? Then tell us about it for a chance to win one of three UR robots. It could be a monotonous task that your employees would only be too happy to swap for one that requires problem solving skills or a task that needs to be carried out faster for you to stay competitive. Enter the contest here. How many UR robots does it take to solve a Rubik's Cube? 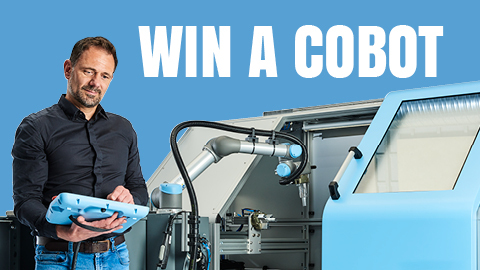 Get the answer in our blog featuring multi-robot communication presented by Application Engineer at Teradyne Sam Paxton, who details the most common cobot connectivity protocols. Sometimes it's as simple as having one robot know when the other has handed a part off down the line, or it can be as complex as having one of your robots follow the motions of another. For more insights, download this free ebook that covers the basics of getting your robots talking to one another so that you can share data and make your production line more intelligent. "The efficiency of a human being drops off completely when you bore them to death." Feeding one part after another into a laser engraver is a tedious, non-ergonomic job for a human, but it's easy to automate with cobots. Our blog highlights innovative new systems that can consistently and precisely mark almost any part—from surgical devices to aerospace components—for traceability, warranty, and more. Get the details and see them in action in several different applications here.